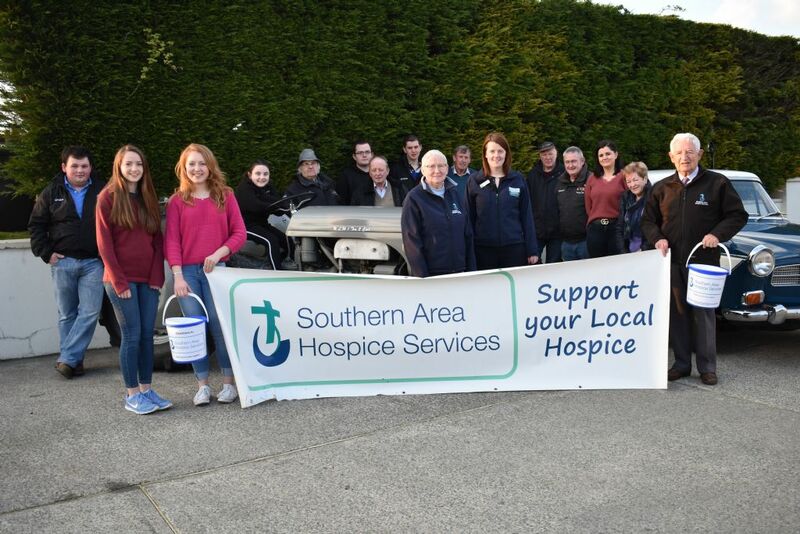 Derryhennett Vintage Vehicle Club near Keady will be holding their first ever Vintage Cars, Motorbikes, Tractors and Stationary Engines Show on Saturday 4th May 2019, raising funds for Southern Area Hospice Services. The show will take place at Madden School House from 12noon and everyone is welcome to attend and participate with their Vintage Cars, Motorbikes, Tractors and Stationary Engines. There will also be a range of craft stalls on the day for visitors to peruse. It is anticipated everyone will have an enjoyable day. If anyone would like to come and show their vintage cars, motorbikes, tractors or stationary engines, they are most welcome. Or why not come along and browse the beautiful crafts. For more information please contact Jim on 07754 689605 or follow ‘Derryhennett Vintage Club – Keady’ on Facebook. Photo Caption: Members of Derryhennett Vintage Club and representatives from Southern Area Hospice Services at the launch of the club’s first ever Vintage Cars, Motorbikes, Tractors and Stationary Engines Show and Craft Fayre which takes place on Saturday 4th May at Madden School House from 12noon. Everyone welcome.